Do you feel confused about what you should be Eating, Thinking or Doing to FEEL GOOD? Are you craving sustainable habits that will eliminate bloating, recharge your energy, clarify mental/creative brain activity, AND help you shed body fat? The Gut-Brain Detox Program breaks down all this health stuff into digestible pieces that work for YOU. Katie Petersen and Carrie Bacon will take you through a 21-day Detox with fully supported Preparation and Integration Periods. You will access the deepest honoring of your natural rhythms, learning how to listen and respond to your body, choosing the foods, movement and self-care combinations that elevate your health! Feel Happy, Healthy, Lean and Energized! 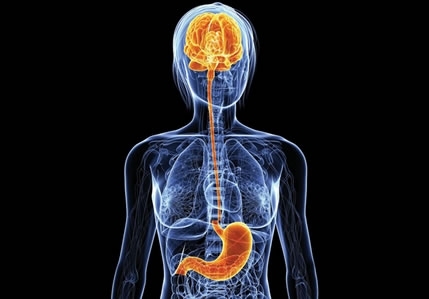 What is a Gut-Brain Detox? Have you talked to your belly lately? That sweet little gateway to the health of your body has a lot to say! Do you experience Bloating or Indigestion pretty regularly? When you exhale, is your belly soft and relaxed or tight and constricted? When you glance at your calendar, do any of these words come to mind… Over-obligated, Overwhelmed, Uncertain, Pressured? In your daily life, are emotions buried under to-do lists and analytics that you aren’t even sure what they are? What are people saying about our Nutrition Programs? "I am no longer that mom, wife, sister, friend that feels like all I do is give, feel resentful because I come last...I've waited for this time." "...what a gift to take time to reconnect with our bodies, to find our essence, to nurture, to know that it serves us well regardless of life's switch ups." "Knowing that life happens, we get distracted, beat ourselves up when things don't go as planned, yet knowing we can pause, reset, to not give up, forgive ourselves, knowing we are held by each other." This is not a rule book. This is not a DIET. This is a roadmap to Balance and Body Love. We will navigate the Summer in a way that nurtures your mind, body, soul... and waistline! It's time to be FIRST on your to-do list. We launch on Tuesday, November 6, (live/recorded call for non-local) to meet one another, explain the "getting started", and get crystal clear on what it is YOU want to experience, achieve, feel. We gather in a private Facebook forum for team Accountability, Education, Recipe-sharing, and ongoing Coaching. This is also where you will receive access to the weekly focus, meal changes, assignments, videos and more (see below). About me. About your program. I am an embodied movement practitioner, facilitating change with both the inner and outer landscapes of the body/mind/spirit through nutrition counseling, strength coaching, and energy work. The guidance I share is a fusion of modern nutrition/body science and principles in ancient wisdom. When put into daily practice, I have profound health changes can be made at the physical and emotional level. Our bodies are not only how we show up in the world but also our greatest messenger. I think this is a deserving title for the highest care and attention! Getting the food “right” is paramount for successful weight-loss and is also a determinant for how you feel in your body at every moment— not just when you step on a scale! Our eating habits, food choices, and even food fears are a window into our emotional environment. Think of metabolism as the SUM of hormonal communication. Our aim each week is to continue shifting your internal environment so your outer/physical world expresses what you desire! This is ALL about YOU. Become a witness to what holds you back, what overpowers you, where you control, where you need structure, etc. Then connect to what you really, REALLY want to feel, believe, and be. Establishing a healthy relationship with food can be an incredible gateway to accessing a sense of freedom in your life. As we explore together, you will likely find your body to be a very poignant messenger, too.